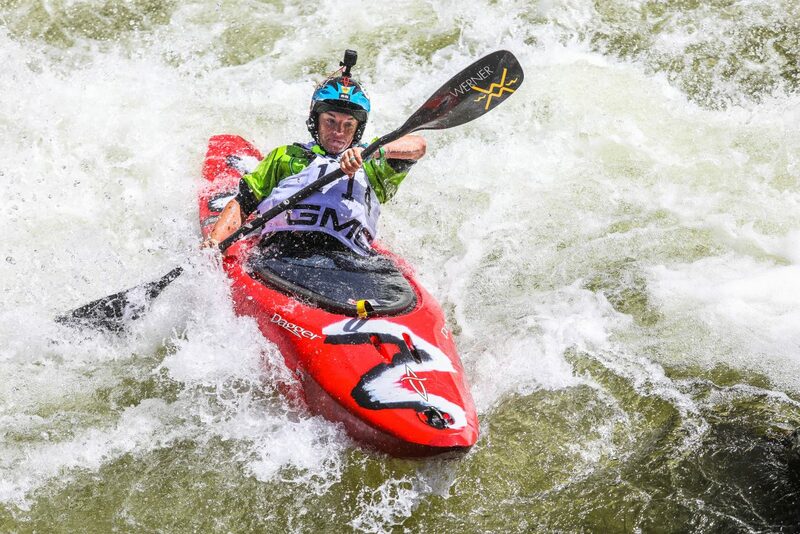 Dane Jackson makes his turn in the Oh Chute Kayak Challenge kicking off the GoPro Mountain Games on Thursday, June 7, outside Vail. 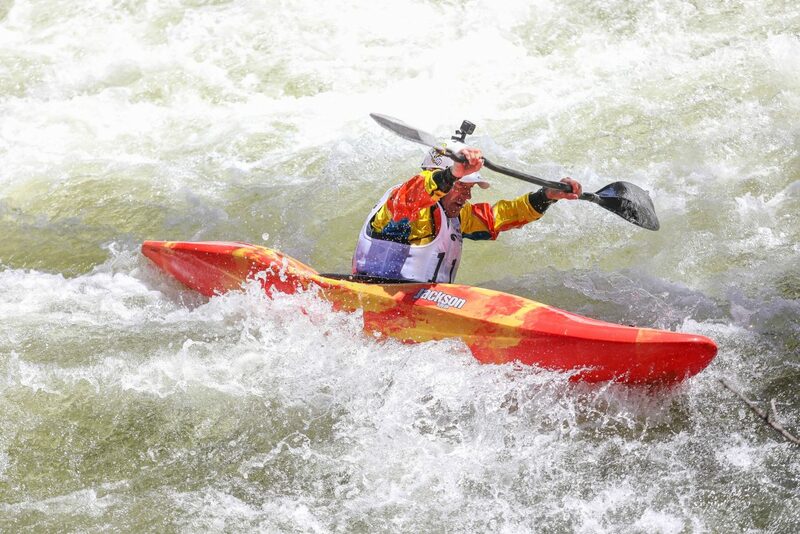 Jackson took sixth. 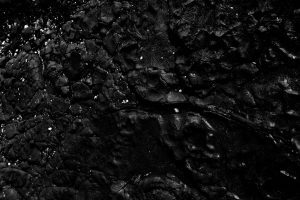 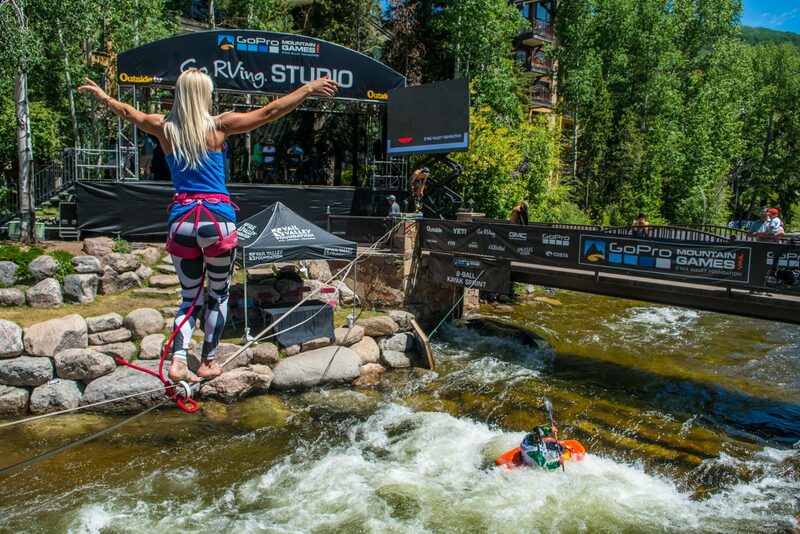 Slackline Industries is the main slacklining sponsor for the Gopro Mountain Games every year. 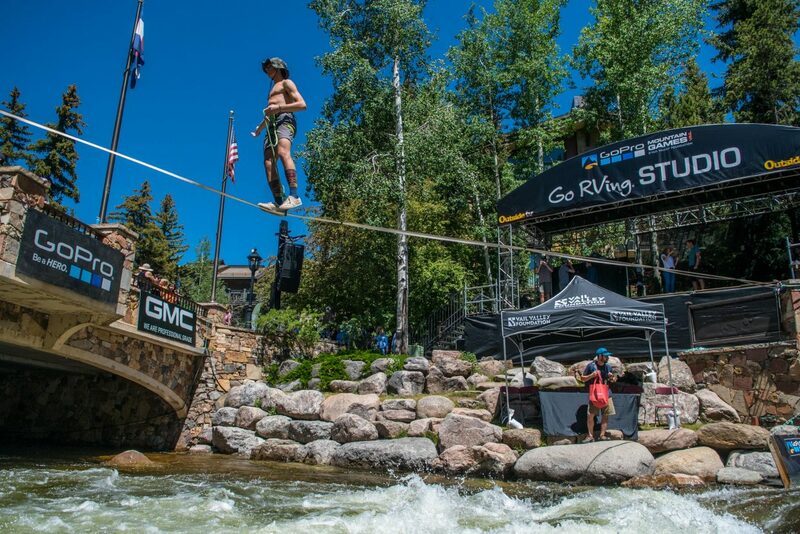 Davis Hermes performs on a high line above Gore Creek on Thursday during the Slackline Industries demonstration. 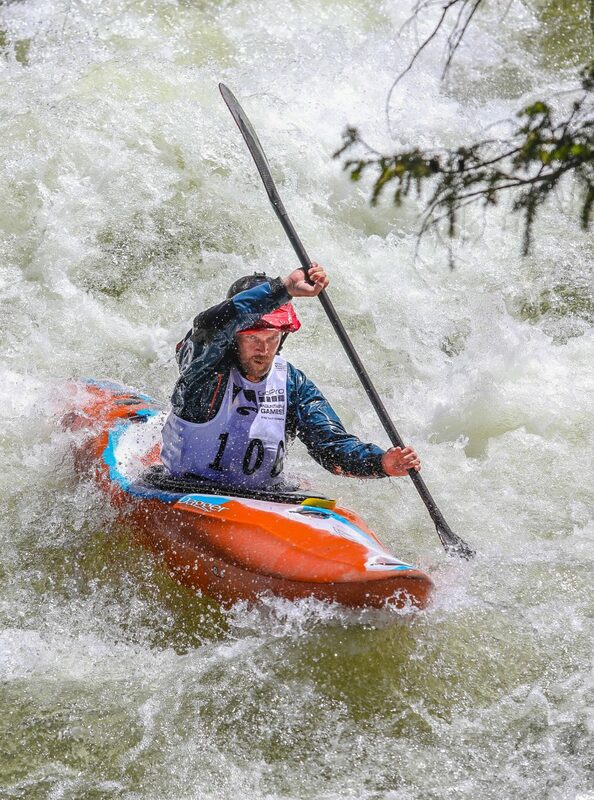 Gerd Serrasolses, of Sort ESP, fixates on the next gate during his quest for victory in the Go Pro mountain games "Oh Chute Kayak Challenge" on Thursday. 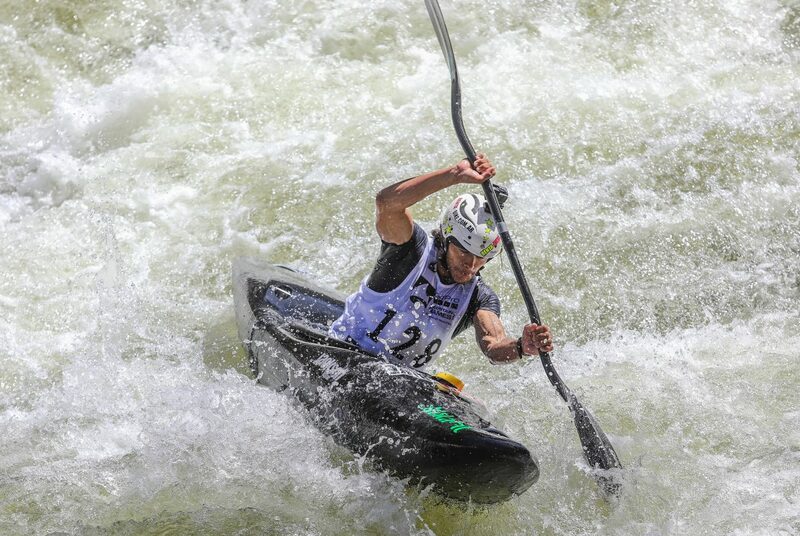 Serrasolses clenched the top position on the podium with a final time of 2:12.01. 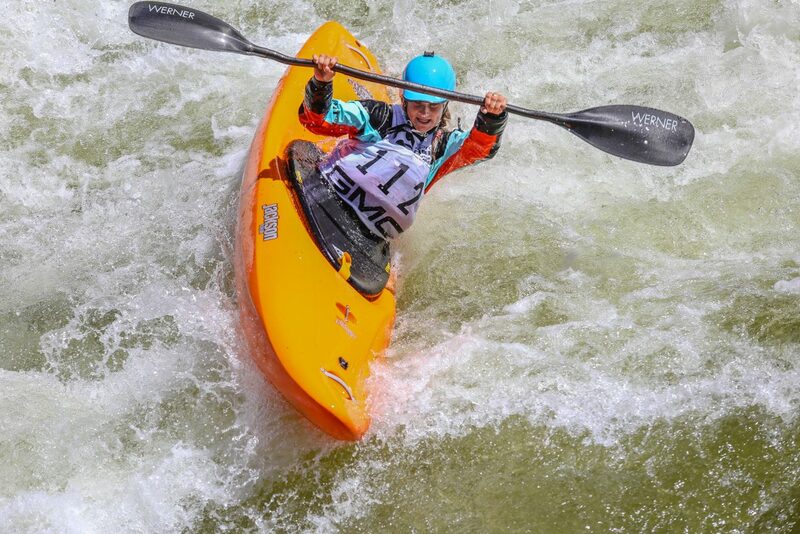 Sage Donnelly Peels out of an eddy and focuses on her next target during the Go Pro Mountain Games "Oh Chute Kayak Challenge" on Thursday. 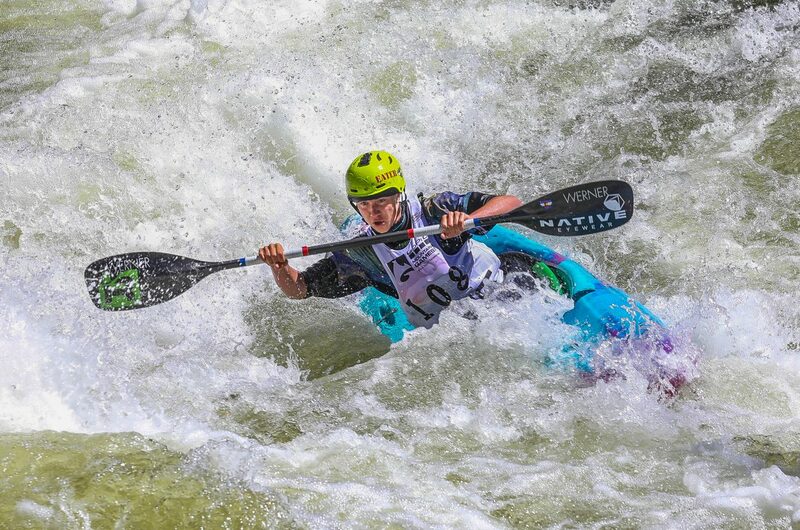 Donnelly secured her second place position with her first of three attempts on the new course. 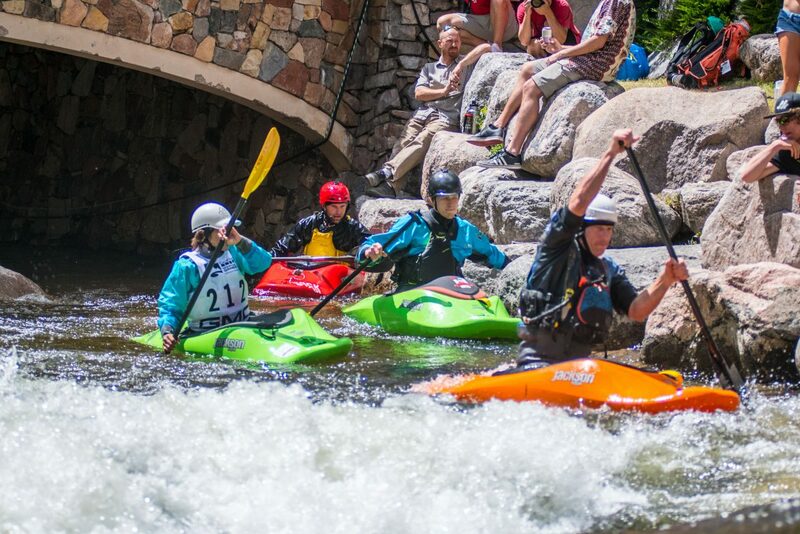 Freestyle Kayakers wait for their turn in the wave, a man-made wave that kayakers perform unbelievable tricks in during the Gopro Mountain Games. 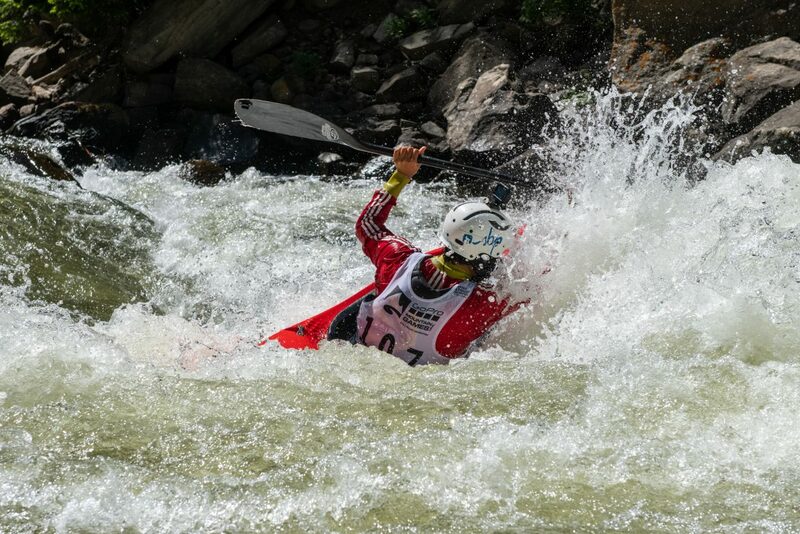 Gerd Serrasolses, of Sort ESP, blasts through a wave in search of the next gate in his quest for victory during the Go Pro mountain games "Oh Chute Kayak Challenge" on Thursday. 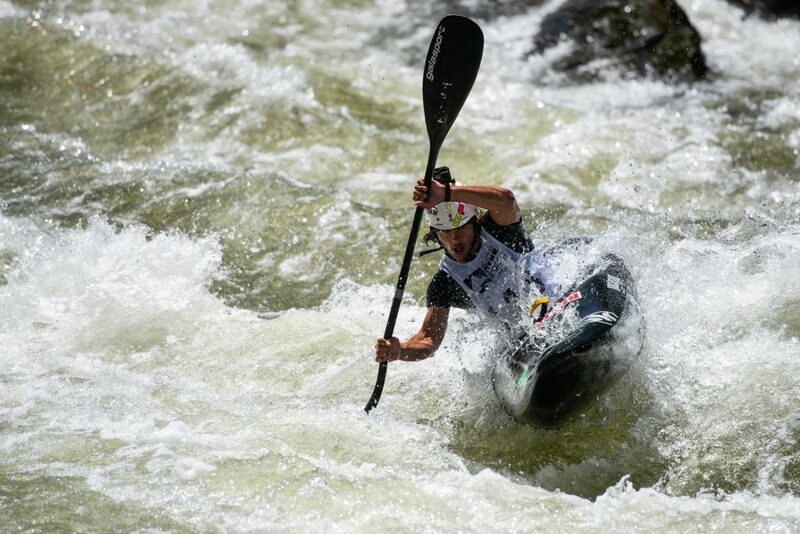 Serrasolses clenched the top position on the podium with a final time of 2:12.01. 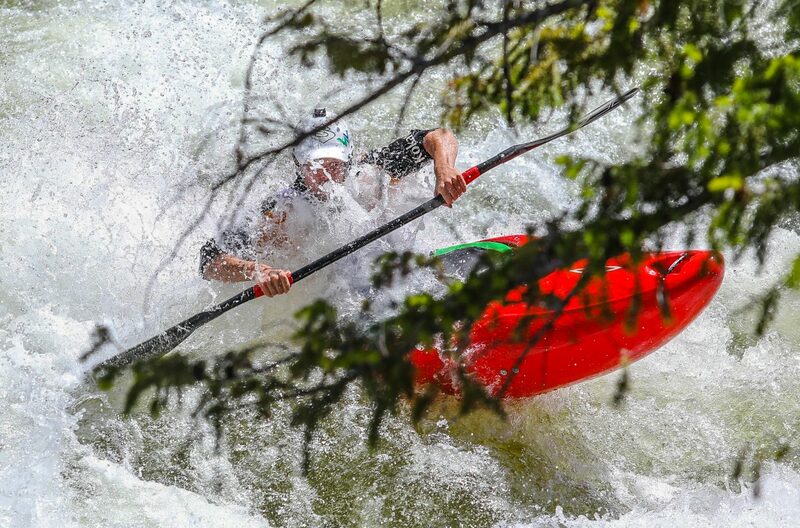 Pedro Astorga, of Santiago Chile, ferrys across Dowd Chute in search of the next gate during the Oh Chute Kayak Challenge on Thursday. 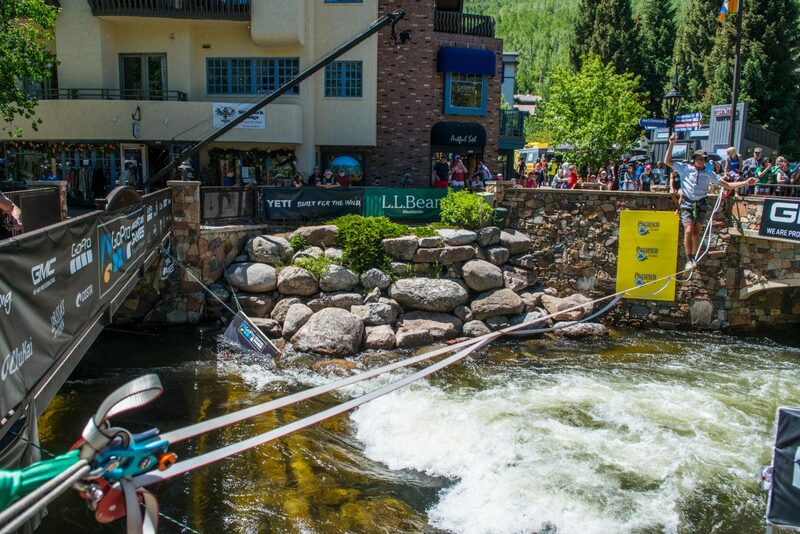 Matias Lopez, of San Rafael Argentina, charges down the Dowd Chute section of the Eagle river during the 2018 GoPro Mountain Games in Vail on Thursday. 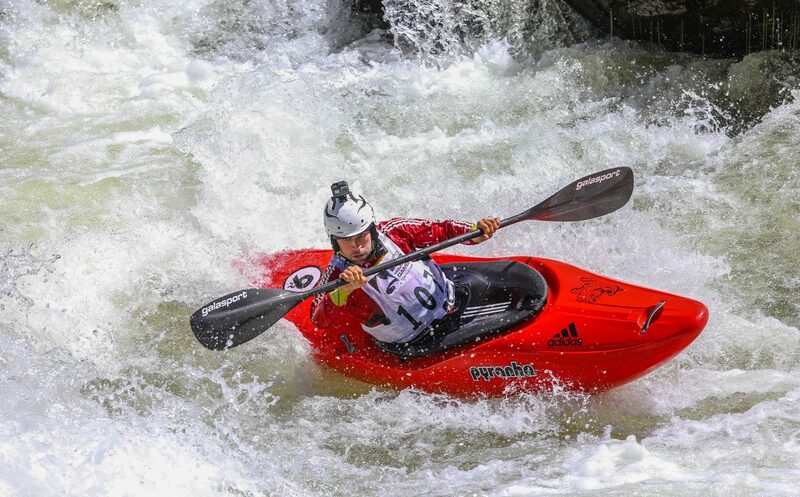 Lopez placed second overall for the men. 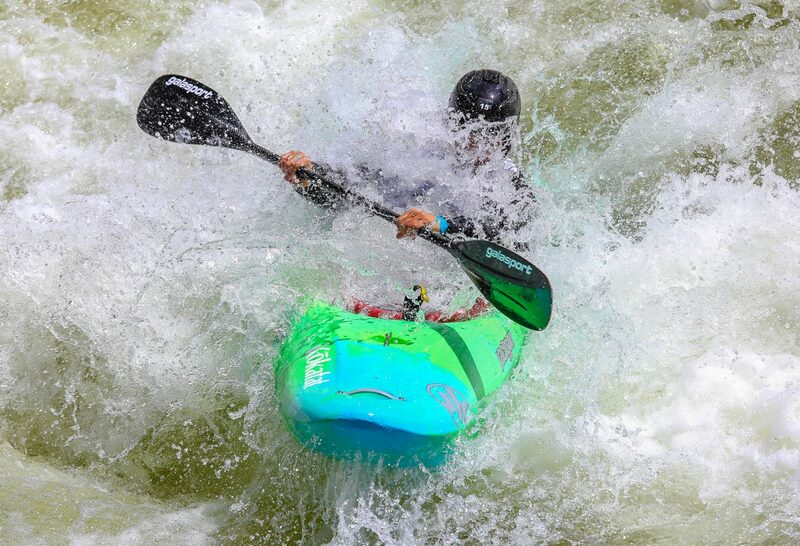 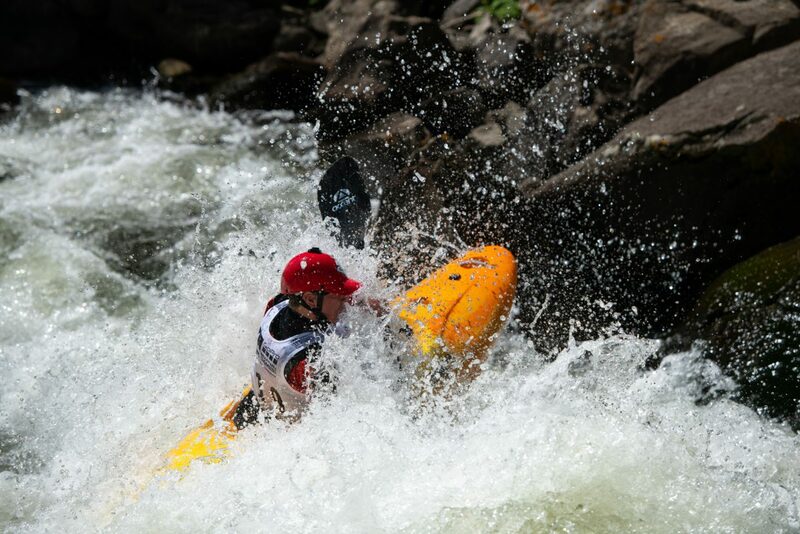 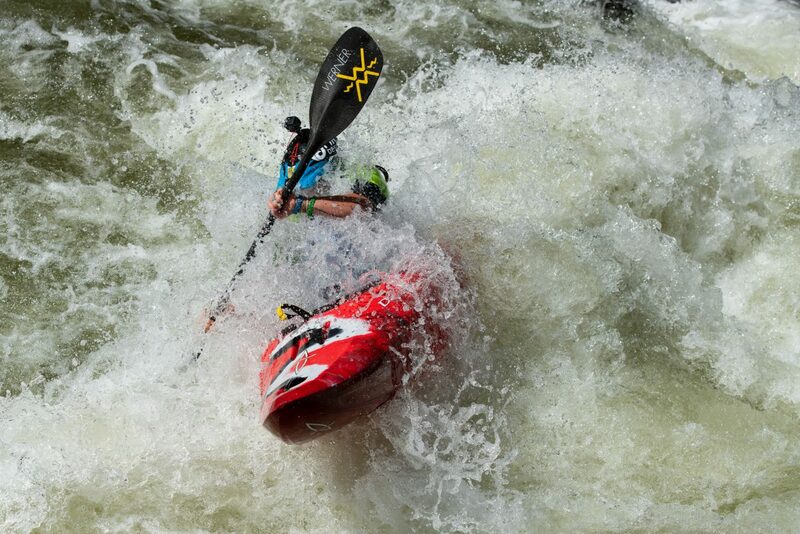 Isaac Levinson charges towards the last gate in the "Oh Chute Kayak Challenge" on Thursday. 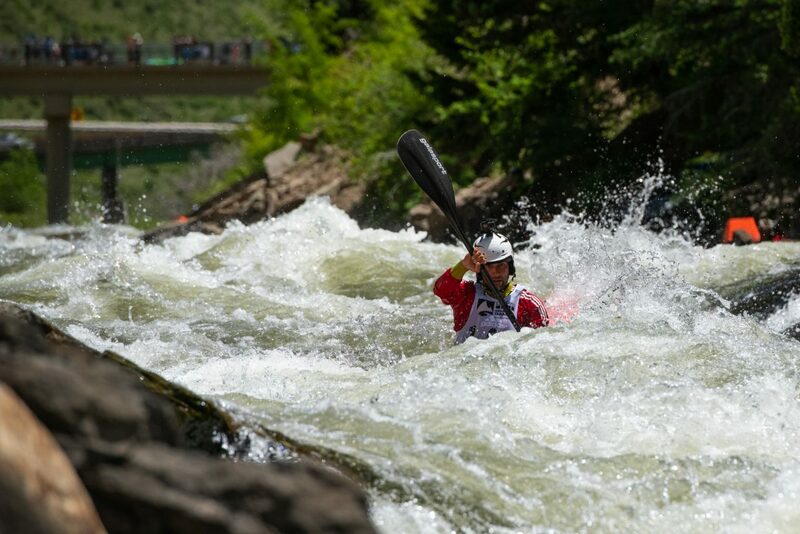 Low water flows inhibited the race from taking place in the traditional location on Redcliff's Homestake Creek. 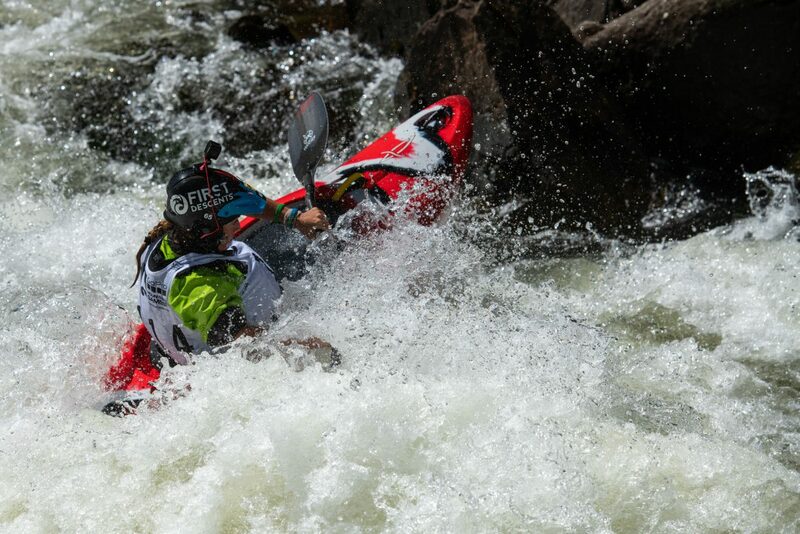 Isaac Levinson fights his way to the next gate during the "Oh Chute Kayak Challenge" on Thursday. 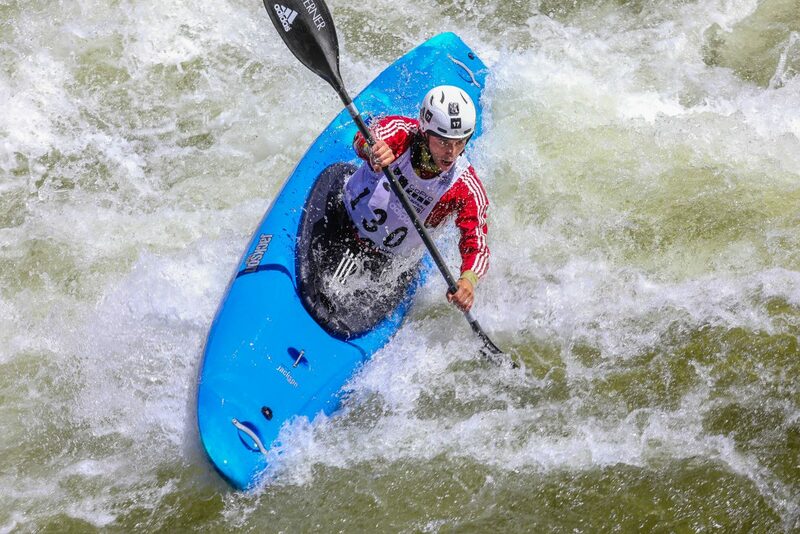 Levinson, a consistanly high placing paddler, finished third overall for the men. 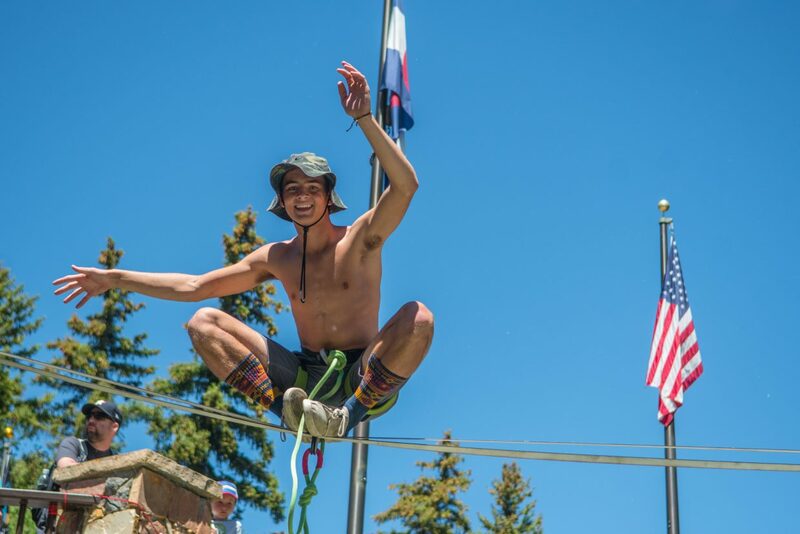 Davis Hermes balances on the outside of his feet to show spectators the difficulty of slacklining on Thursday. 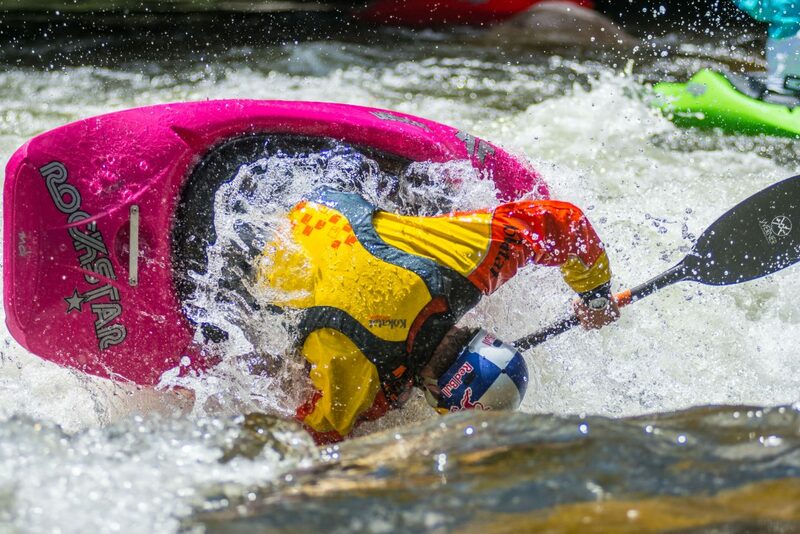 Adriene Levknecht blasts through a wave at the bottom of Dowd Chute during the GoPro Mountain Games "Oh Chute Kayak Challenge" on Thursday. 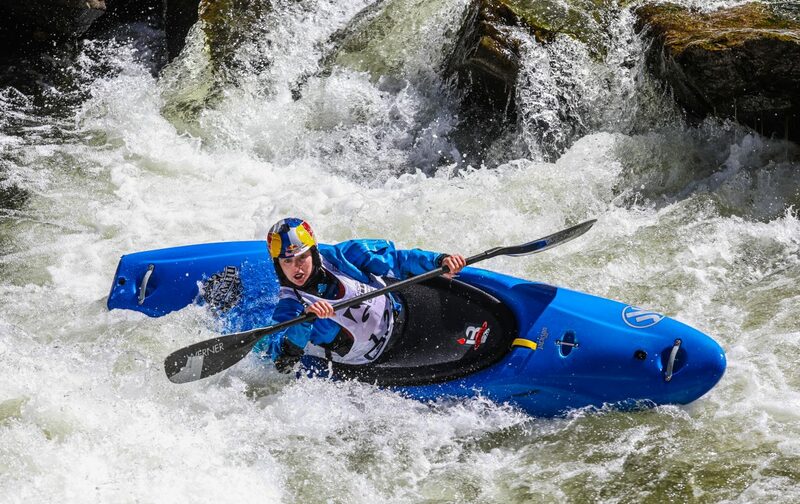 Levknecht placed third overall for the ladies. 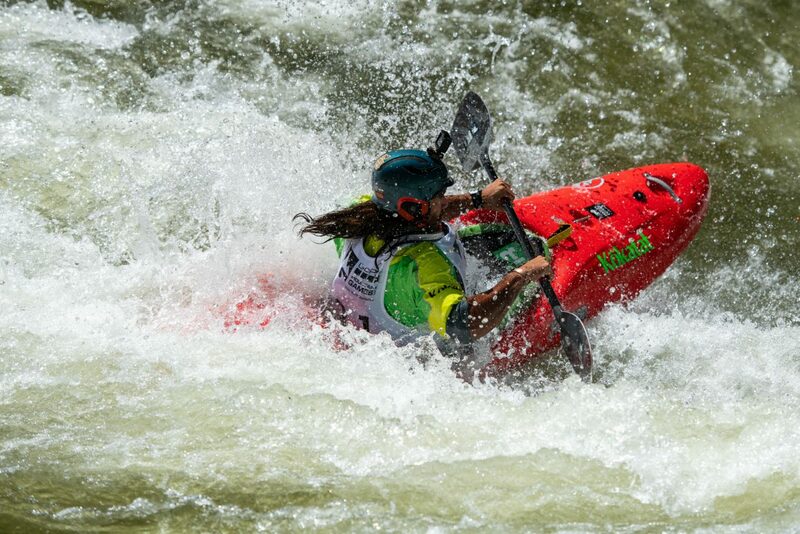 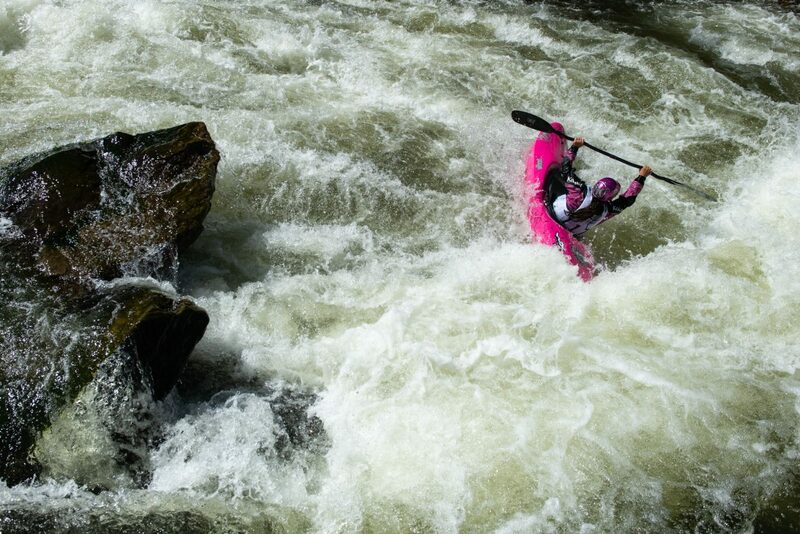 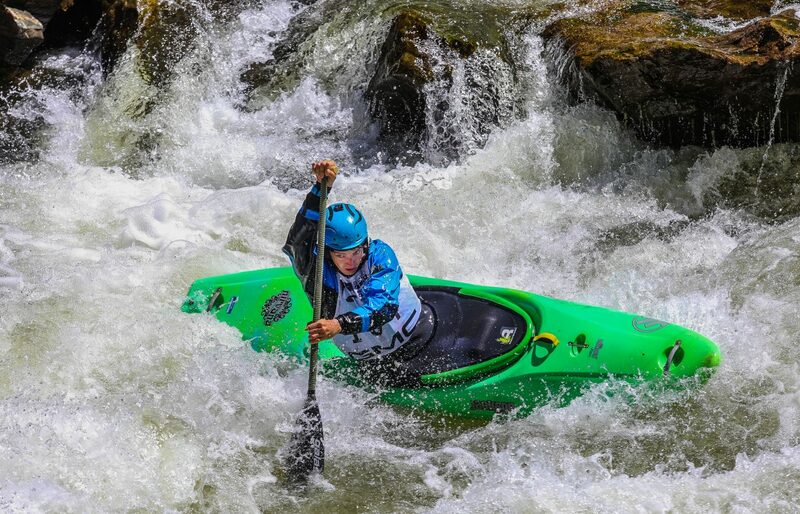 Adriene Levknecht charges downstream during the GoPro Mountain Games "Oh Chute Kayak Challenge" on Thursday. 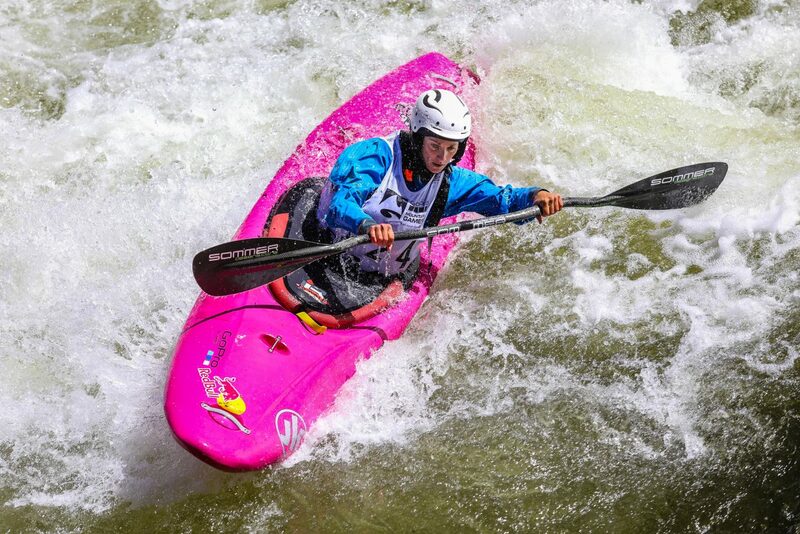 Levknecht placed third overall for the ladies. 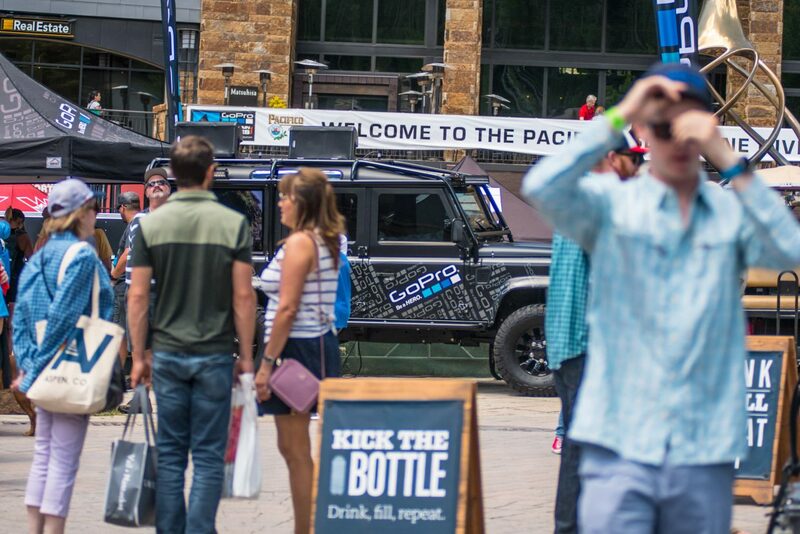 Most sponsors have either free merchandise and food or many large giveaways for the weekend for people to enter. 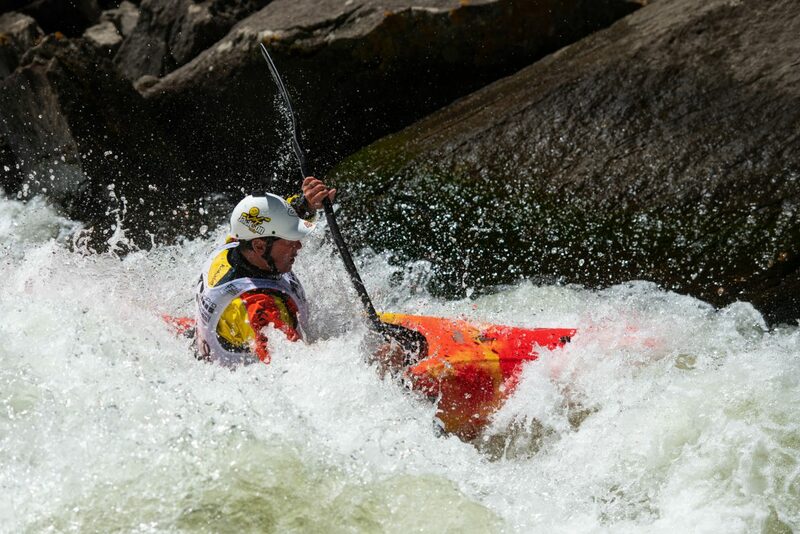 Dane Jackson practices on Gore Creek for the Kayaking Freestyle events during the Gopro Mountain Games on Thursday. 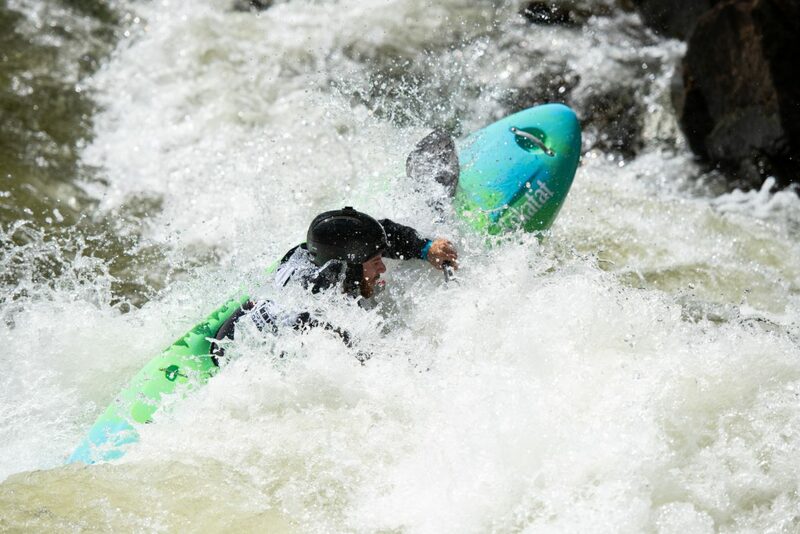 Sage Donnelly of Nevada turns hard in Dowd Chute during Oh Chute Kayak Challenge kicking off the GoPro Mountain Games on Thursday, June 7, near Vail. 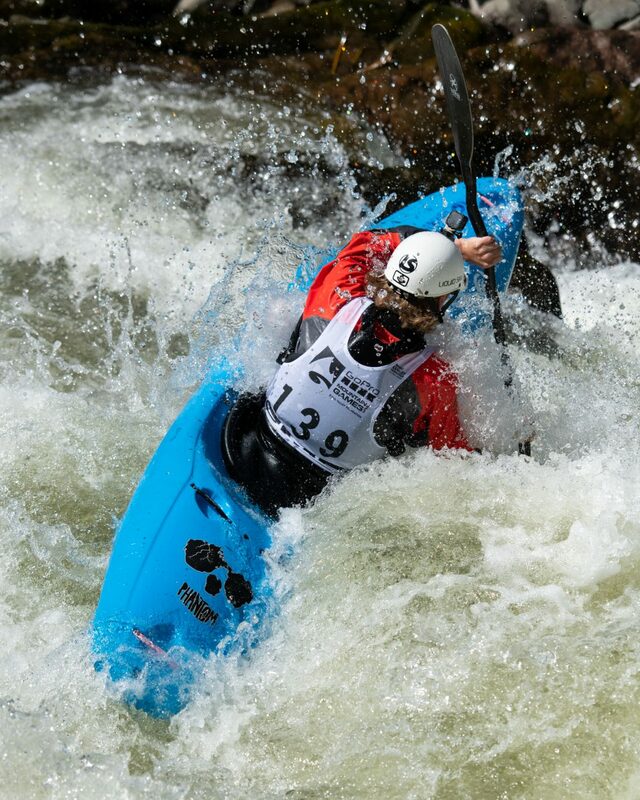 Donnelly took second. 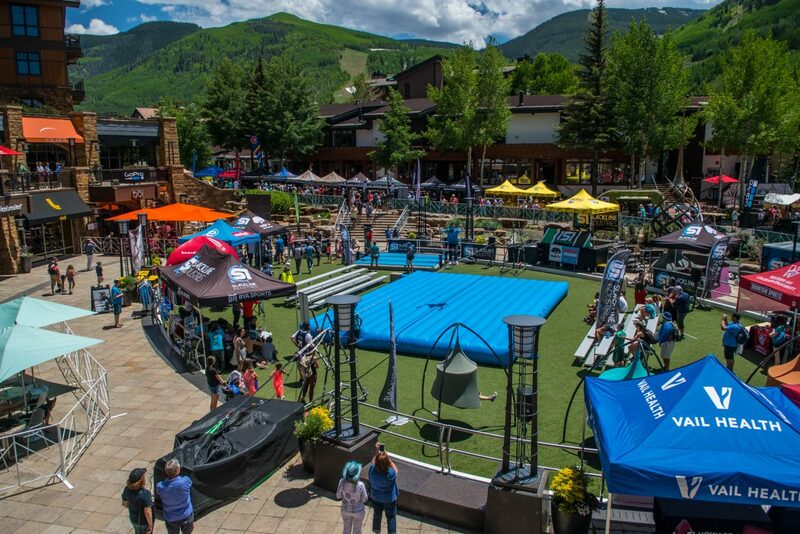 The Gopro Mountain Games draw thousands of people in to Vail and the surrounding areas every year. 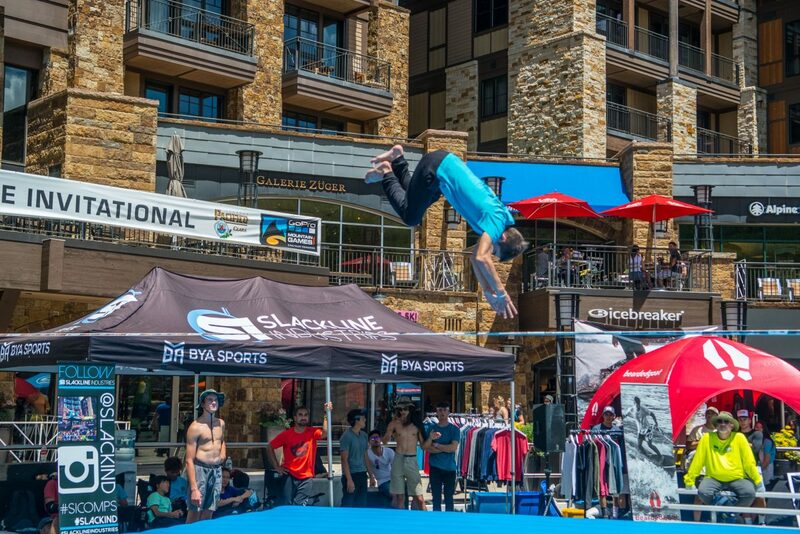 Solaris Plaza is always host to the Slackline Industries competitions and spectator events and challenges. 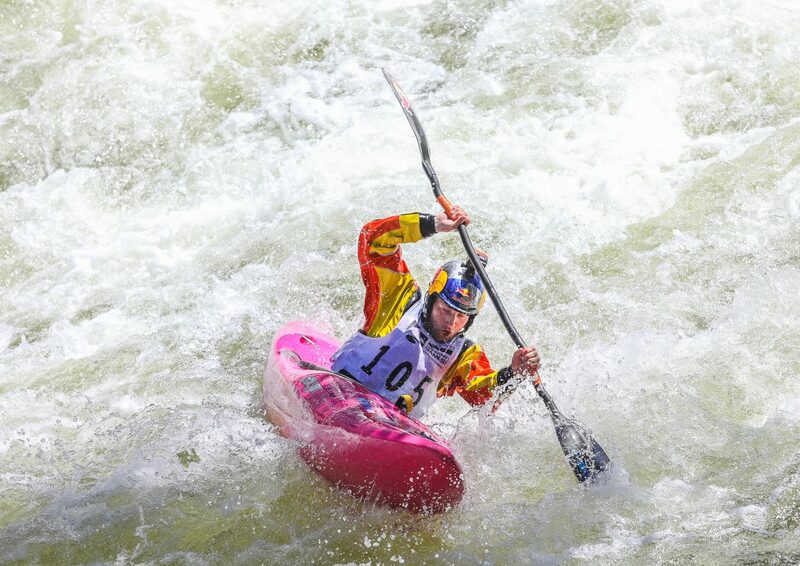 Nouria Newman of France plows through Dowd Chute as part of the "Oh Chute Kayak Challenge," the new event based on location, kicking off the GoPro Mountain Games on Thursday, June 7, outside Vail. 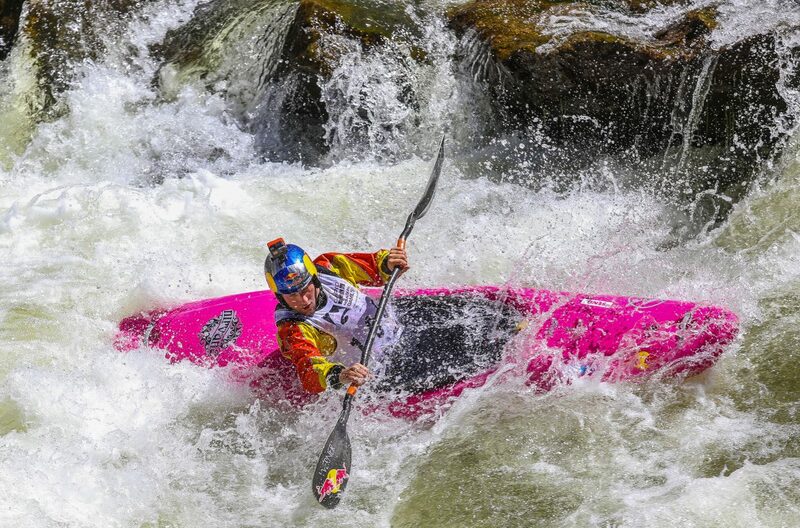 Newman was the top female contender. 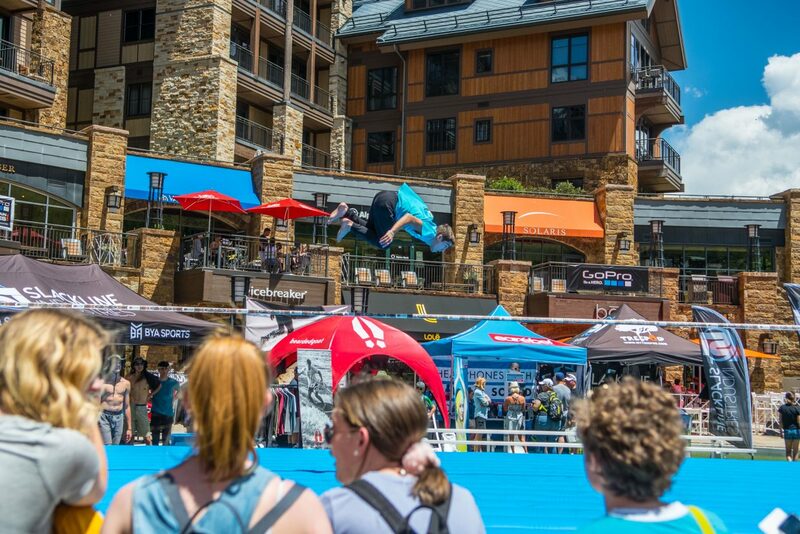 Spectators watch as athletes perform spins, flips, and other various tricks on taught lines no wider than 3 inches. 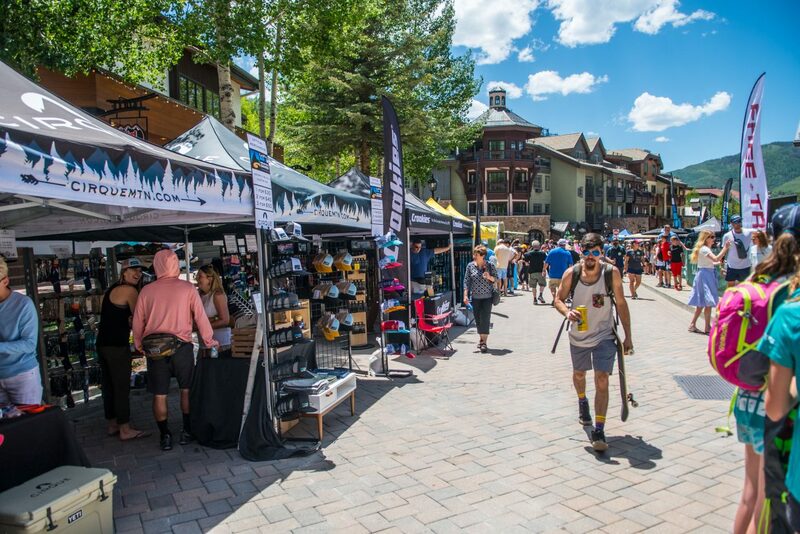 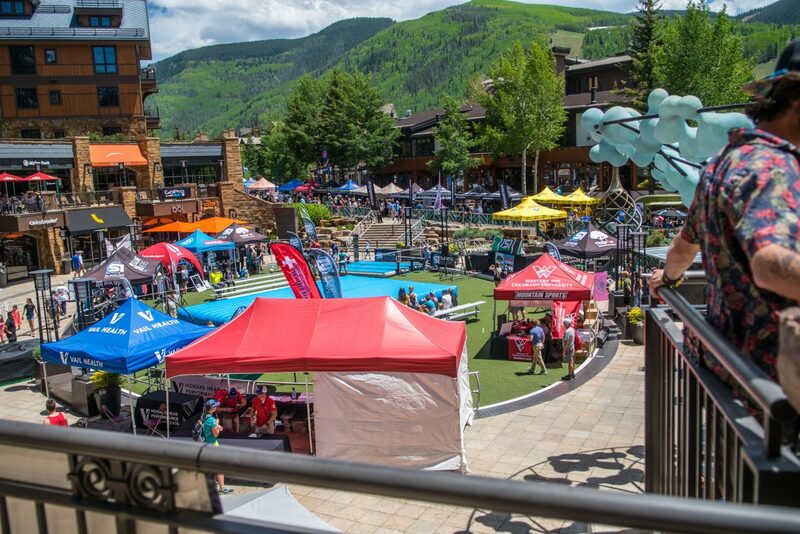 Gear Town, located between International Bridge and the Covered Bridge in Vail, is home to many sponsor tents handing out free merchandise and food. 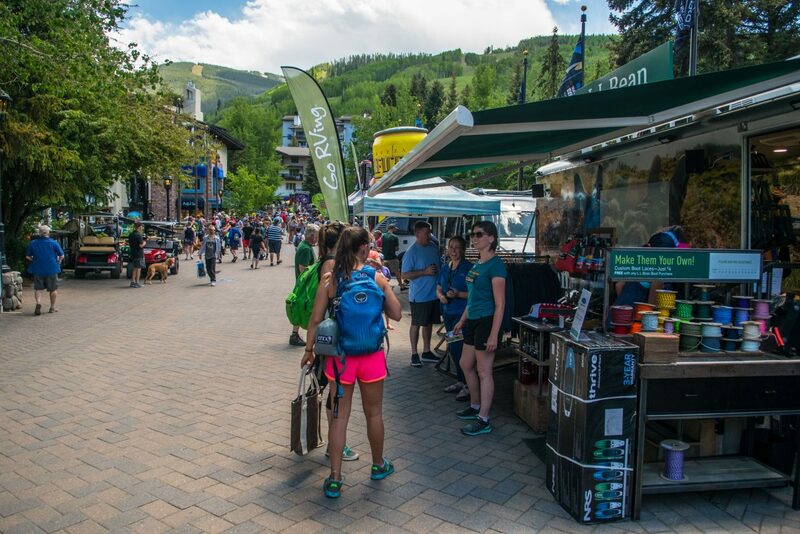 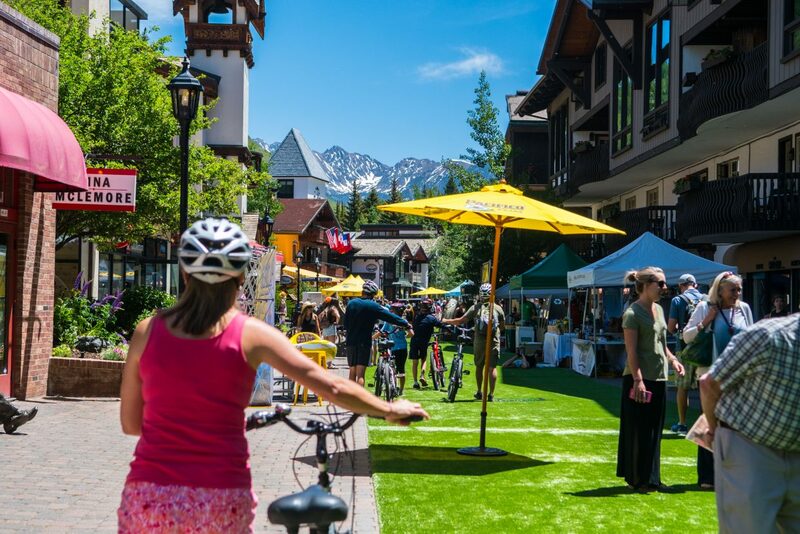 Families, dogs, and kids all populate the streets of Vail for the 4 day event. 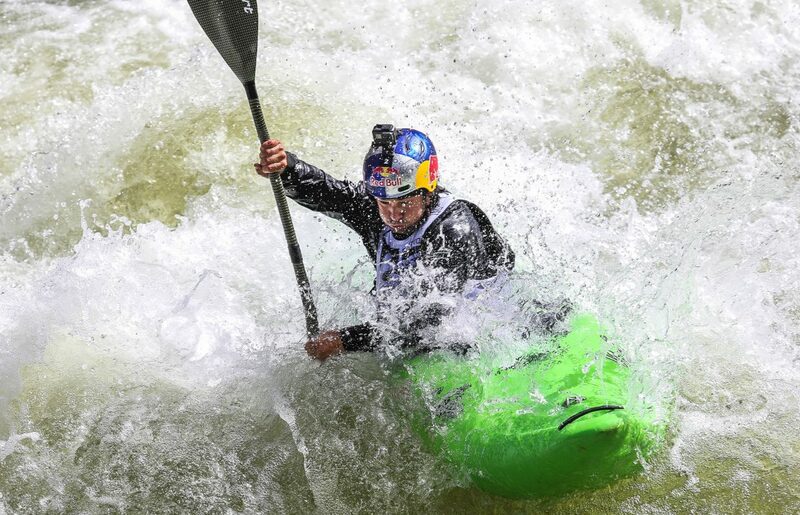 Gerd Serrasolses of Spain navigates Dowd Chute during the "Oh Chute Kayak Challenge" during the GoPro Mountain Games on Thursday, June 7, outside Vail. 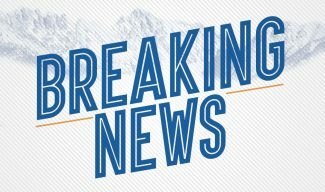 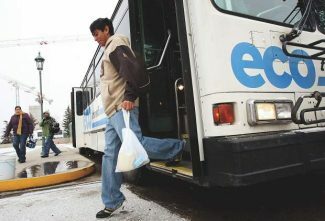 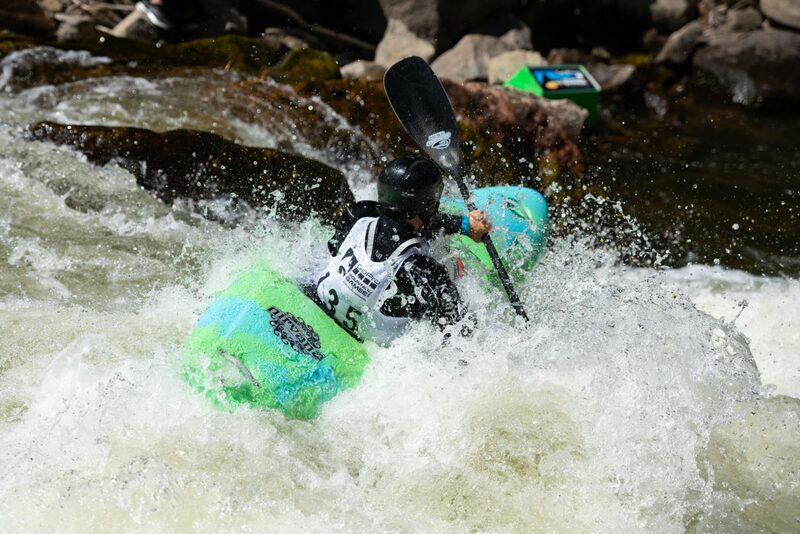 The event was moved from its annual spot on Homestake Creek outside Red Cliff to the Eagle River due to low water levels. 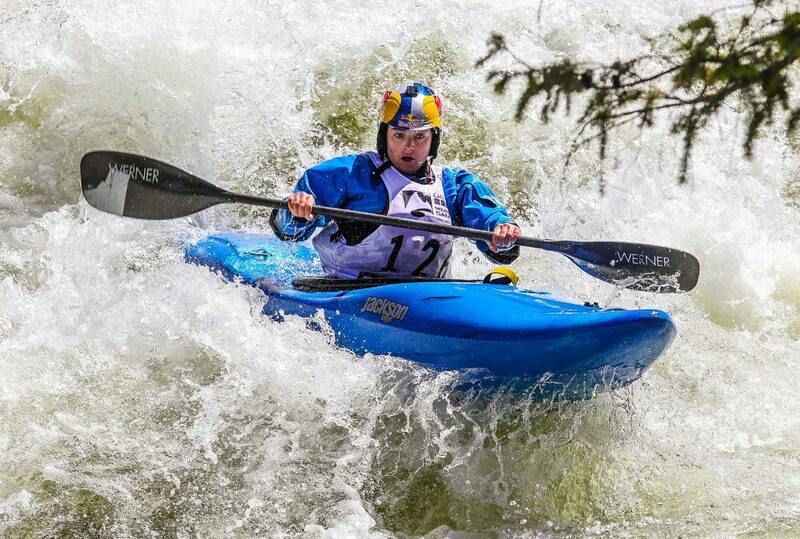 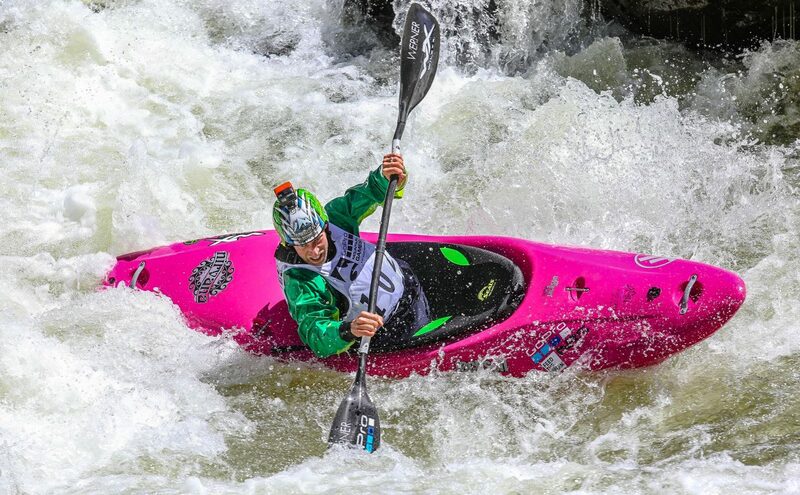 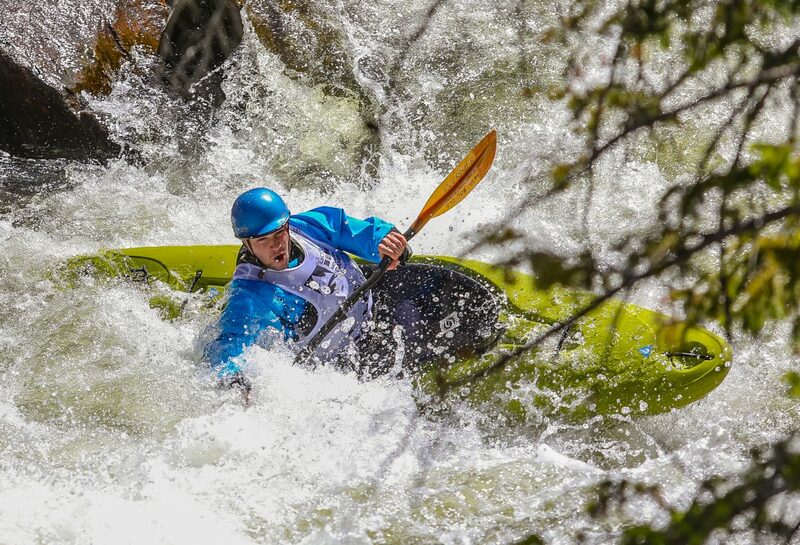 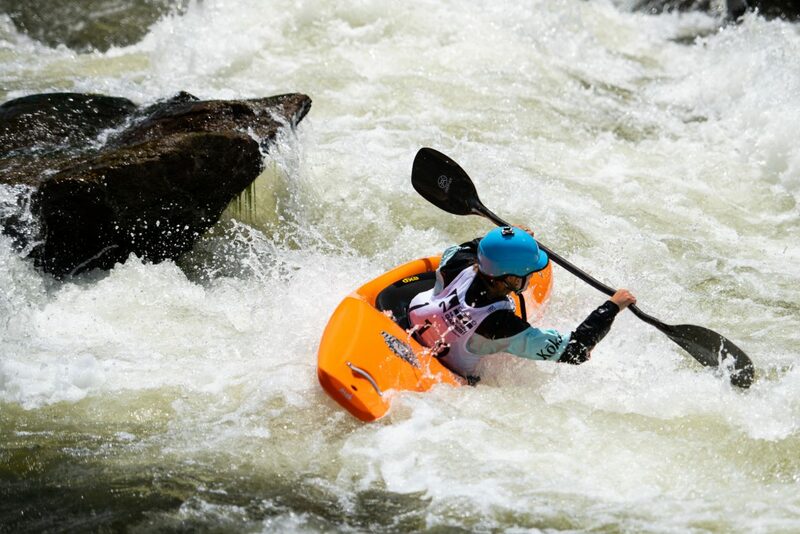 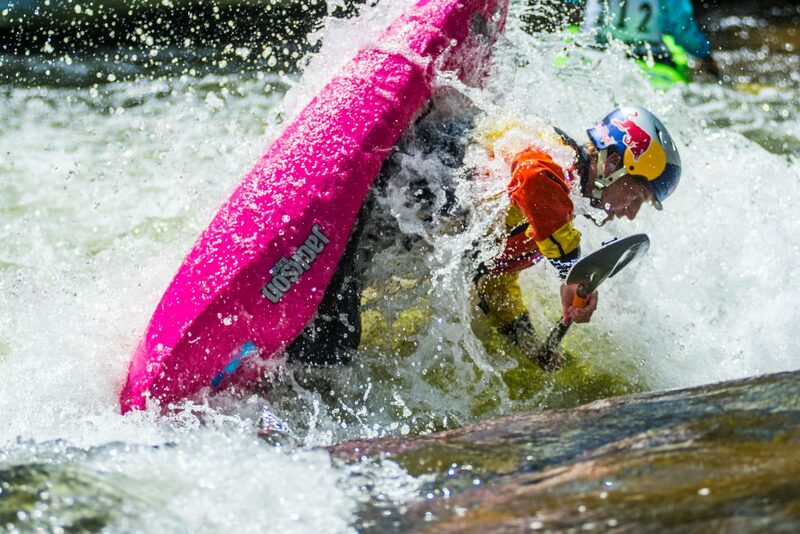 Eric Jackson competes in the Oh Chute Kayak Challenge during the GoPro Mountain Games on Thursday, June 7, in Vail. 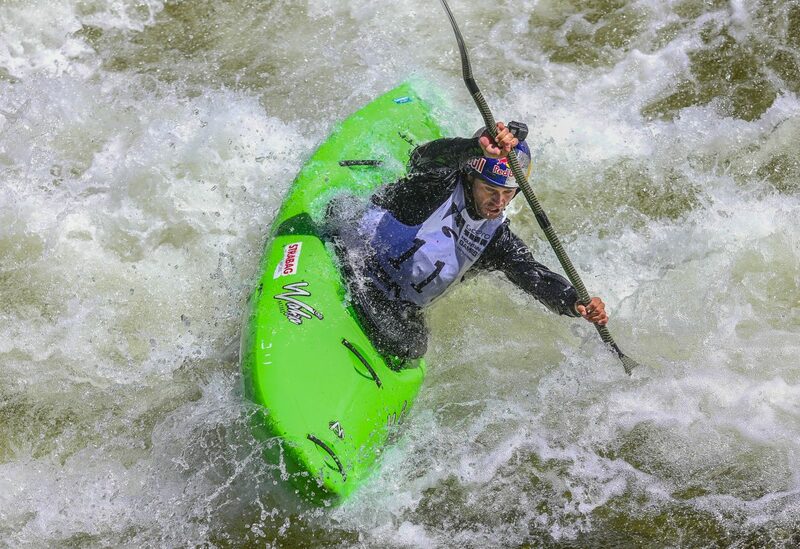 He was the only Grandpa to compete in the event, placing eighth.